This hat, hand-crafted entirely from gold is the truly astonishing creation of Giovanni Corvaja and took him over 2, 5oo hours to make and uses over 160km of gold wire.. 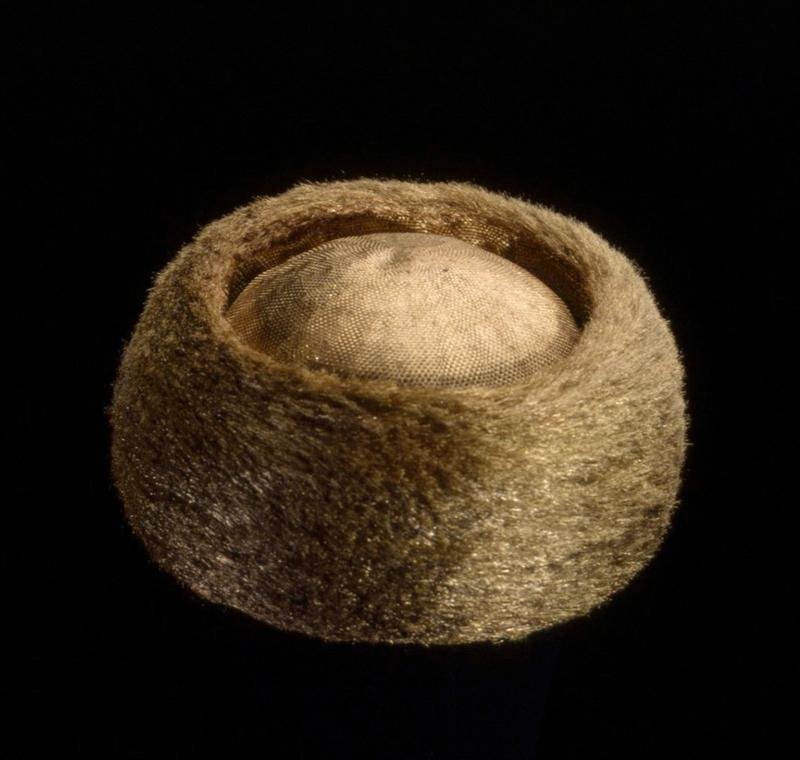 The artist has brought the story of The Golden Fleece to life in a series of works of which this hat is the pinnacle. Its Cossack style is a tribute to the artist’s Russian wife. It is made from five million hand-hammered gold wires which were drawn through a diamond. This entry was posted in Contemporary Art, Costume, Decorative Arts, Fine Art, Gold Objects, Jewellery, Textiles, Visual Arts, Works of Art and tagged contemporary art, Decorative Arts, European Art, Fine art, Jewellery, textiles, Visual Arts.